Once again the Enduro format yanked competitors from their comfort zone, taking many by surprise. Though it looks easy, by the time the finish line is reached you know you have achieved something special. Well done to all competitors, particularly those experiencing the format for the first time. A big shout out to first time RD Clare McVeity who had all bases covered for this event. Clare was ably assisted by a posse of volunteers including regulars Alan Barrett & Gayle Viney on rego; our timing guru Gary Wall who had 17 different mat reads to juggle; Brianna Arrigo and Raz Dejongh who stepped in to cover fruit & ice (yum), president Tony Cox as always overseeing and all those who just chipped in on the day. Thank you, we couldn't do it without you all. Last but not least, a big thank you to Cycle Zone Darwin for providing lucky draw prizes, we had very happy winners! 1. Anyone volunteering for RD will find they will have lots of willing helpers. All the behind the scenes work (permits, water safety, St John, sanctioning etc) is already done and if race briefs aren't your thing, we can cover that as well. 2. Here's hoping we get inundated with emails today from volunteers for those vacant roster positions. 3. Our club thrives on it's volunteer culture and if you haven't yet put up your hand during 2015|2016 please consider giving back a little. 1. We said farewell to Keith Radley at the weekend. Keith is heading back to Ireland, after having stepped up a triathlon notch during his time with the club. Best of luck Keith and we hope to see photos of you sporting the DTC kit in a home event real soon. 2. We mentioned last week that Jean Sereni was also heading off - he'll be rocking the DTC club colours in Dubai. 3. Another Dag of the Year nomination - this time Gary Wall who just can't seem to figure out the front and back of his helmet. 4. Don't forget to send in any Dag nominations you come across or hear about - all nominators shall remain anonymous. 5. It's National Road Safety Week. Family Fun Day at Holtze St Parap, 9am - 12pm this Sat bring bikes & helmet. 6. 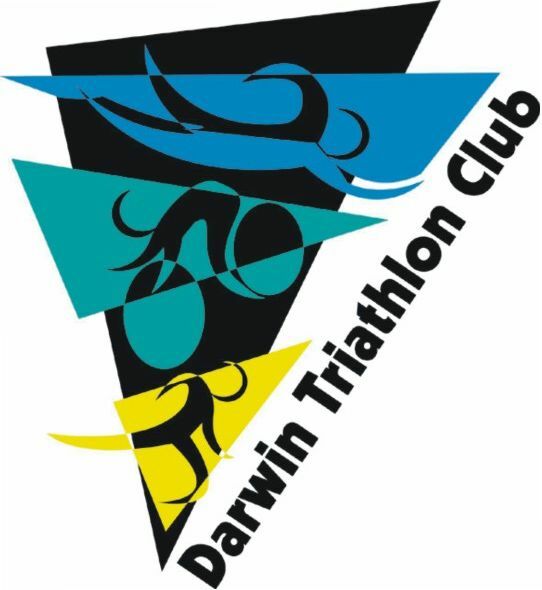 Good luck to all our members heading for WA and the Lake Argyle Swim this weekend. Stu Fitch is lining up for the 20km solo and the rest are in teams. 7. Winging their way to Langkawi for XTERRA Malaysia we have Rob Brooks, Rowena Eastick and Cath Hood. Good luck! 8. 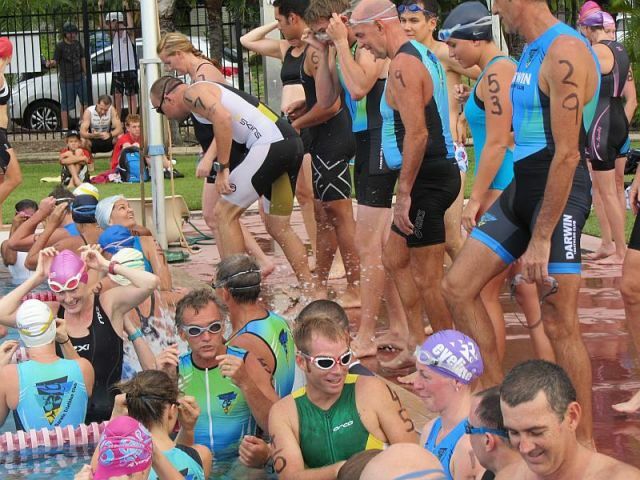 Lining up at Ironman 70.3 Vietnam this weekend - Billy Lynch, Stef Puszka and Hannah Johnston. They will be hoping it's not quite as hot as last year. Good luck! 10. Been awhile between Ironman finishes for Ali Ftich and she has since announced that IMOZ last weekend was her final Ironman as a pro triathlete. Among her many Ironman achievements, Ali recorded a 2nd at IM Canada in 2008, and 2nd IM Malaysia. 3rd IM Switzerland and 4th IM WA during 2007. Ali's first Ironman was IM Australia so to finish her pro IM career there on Sunday was fitting. May have been her last pro IM, but you can bet it in that we haven't yet seen the last of Ali.